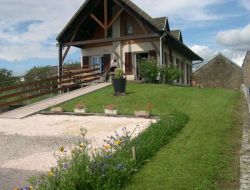 Cottage located 5 km from the A6 motorway exit Pouilly en Auxois, 300 m from Lake Panthier, in the heart of Burgundy (30 minutes from Dijon and 20 minutes from Beaune and wine road). Weekend or week, break or sport: wealth in landscape, heritage and gastronomy. 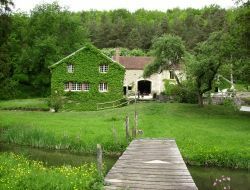 Le Moulin de St Germain is located in the forest on the edge of a brook trout. 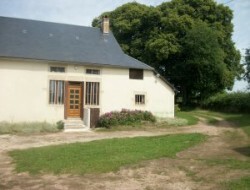 A cottage for 5 people is located in the former miller's house across from the Moulin and a cottage for 2 / 3 persons fitted simply lies in the adjoining barn. The field of Une Envie de Nature welcomes you in its green setting located along the Canal de Bourgogne. 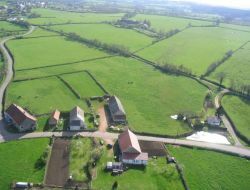 With a surface of 8 ha mixing groves of trees, meadow, ponds and a pond of 3 ha. We have quiet cottages, fully equipped and at the edge of the water! 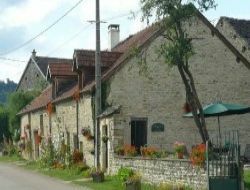 Ideal to recharge one's batteries and to find oneself in family in a country place close to the nature and tourist assets of Burgundy. 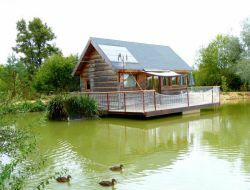 Our unusual chalet: the floating chalet for 4 people! 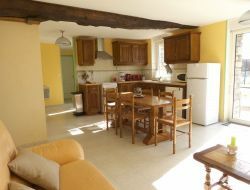 Independent holiday cottage with 5 bedrooms which can welcome up to 11 persons. 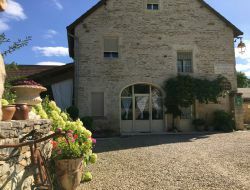 Situated in Côte-d'Or, in 20 minutes from Dijon and in 35 minutes of Beaune, this holiday cottage is ideal to be with family or between friends for a stay in Burgundy(Bourgogne). Possible weekends except summer holidays. 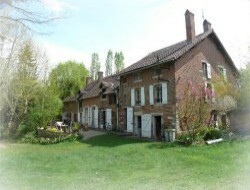 The cottage, near Beaune, Nuit St Georges and the wine road, is an 18th house, 150m ², on 2 levels, in a park of 1,4 ha. Private terrace, quiet. Cottage awarded 3-star. Assistance with site visits, cellars. ffer you an unusual stay in a yurt situated in Burgundy(Bourgogne) near Morvan. Yurt is installed right in the middle of a meadow surrounded with forests and nested in a magnificent countryside. The view on the valley is impregnable. You will be in only company of birds and other animals which live in the surroundings. For those who like the real nature the place is exceptional. 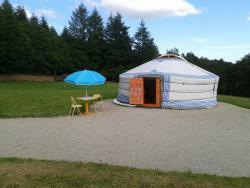 Our yurt is an accommodation which can welcome 2 to 4 people. WiFi at your disposal. You have access to the owners swimming pool open from June till September.